Welcome back to the “Top Five” series! 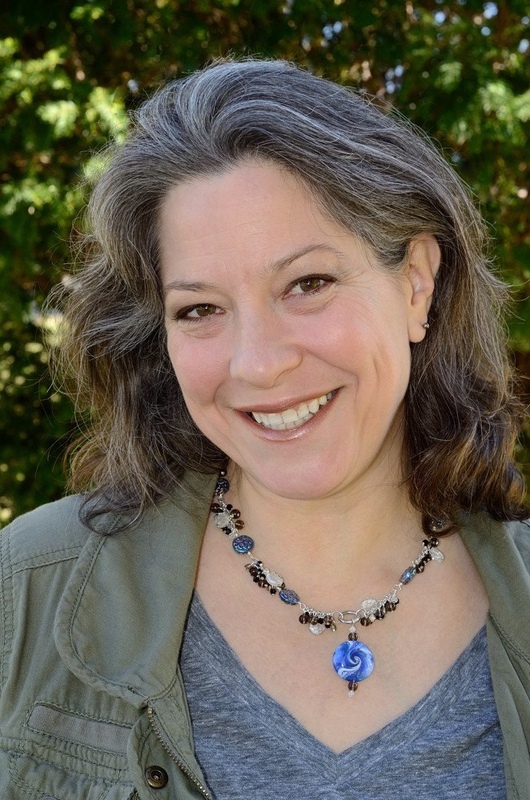 This summer series will feature ‘top five’ polymer clay artists tips from around the globe. Today it is my honor and privilege to introduce Teresa “Pandora” Salgado. Today, Teresa is going to be sharing with us her Top Five Polymer Clay Caning Techniques. Of course, millefiore is the root of all joy. I’ve tried some sculpture, at which was remarkably talent-free. Doesn’t matter though. Millefiore takes me to my sweet spot, my own little mental heaven, every day and twice on Sundays. Sculpting with cane is endlessly fun. I tried it after I took a class with Christi Friesen and saw how she made casual, freeform canes and created 3-D shapes with them. I adapted that idea to complex canes and named it “Scayning”- sculpting + caning. My first tutorial ever published in Polymer Café (March 2014) was about the technique. Translucent clays have always fascinated me but it took a while for me to understand how to cane with it. This year I’ve been experimenting with items big and small, all the way from Fairy Wing Earrings to window pieces, suncatchers and lamps. I call my cane making freestyling because I work from a basic sketch and change it as I go along. When I see a spot that needs to be altered, I hack off a piece, indent another area, add another cane to the void, etc. I’ve lost all interest in pictorial caning because I have no use for 100 slices of face canes or snails or anything else. I like to take completed complex canes and alter them. If it’s a square, I compress one side and make a triangle. If it’s round I make it triangular. If it’s triangular I force it into a square. I call it Pandorafication because the name “Trashing Perfectly Good Complex Canes and Taking the Risk of Ruining Them Forever” is too cumbersome to type. So those are my five favorite things to do with polymer; but I’m even more fascinated with the things you like to do. Isn’t it wonderful that every clayer can make the exact same project yet no two will be alike? I never get tired of seeing the variety and creativity each of you offer. I guess I’m still in love. In 2010 I saw millefiore caning for the first time. It was sort of like falling in love. I went to sleep thinking about cane. I woke up thinking about cane. In the 8 hour interim I dreamed about … well, you get the picture. At that time I had a no smart phone, internet or computer. I had access to a tiny library but I had no car. You see, I had just turned 55 and was starting my life over. Who cares why? Lots of us have been through that. So, millefiore took over my brain and I started to teach myself. I discovered that caning took me straight to my happy place – that Zen Zone where all else falls away. Five years later it still does that for me. In 2014 I quit my job and became a full-time instructor; and am I lucky or what? I’m now a member of Polyform’s Sculpey Design Squad, I have a column in Polymer Café Magazine, got the cover in March 2015, teach on Curious.com, am one of 22 world class instructors (my idols!) on the Polymer Clay Adventure, as well as a demo artist for Lucyclay Tools, and my 24 Youtube videos have been seen in 149 countries. What?!? So, I have to recommend this clay thing, Bigtime. 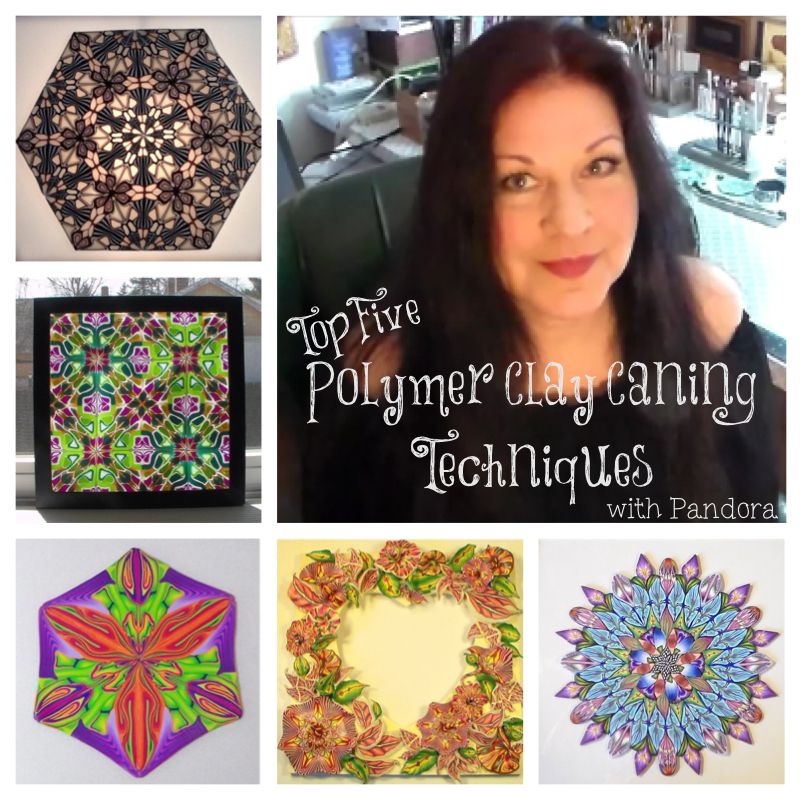 Don’t miss the other articles in the Polymer Clay Top Five. Teresa, I have been looking at your videos and enjoying them so much I haven’t started using my clay. I do like your relaxed attitude as perfection can be off putting for the beginner. I can now look at clay pieces and work out how they are made. I would love to know how to get a shine on my clay jewelry pieces without sanding. I have a buffing machine but are hesitant to use it. I would love to just coat the clay for a satin finish. Teresa, I have been watching your videos over the past year but this is the first time I read your story! you are a beautiful lady and an inspiration! !